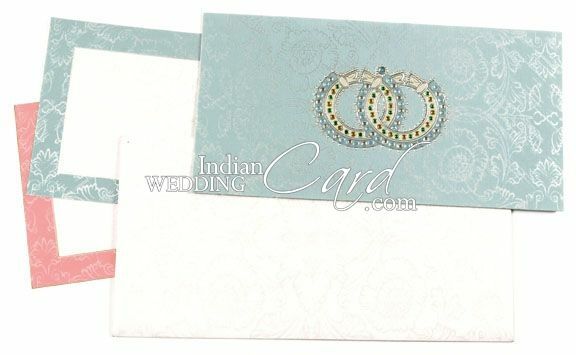 D-3270, Blue Color, Designer Multifaith Invitations, Engagement Invitations. 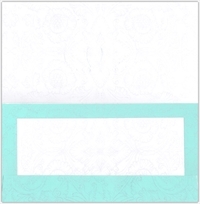 Silk screen coated Turquoise color on White textured paper for card. 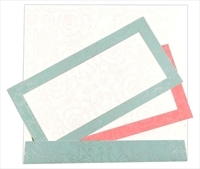 2 inserts and mailing envelope also in white textured paper.